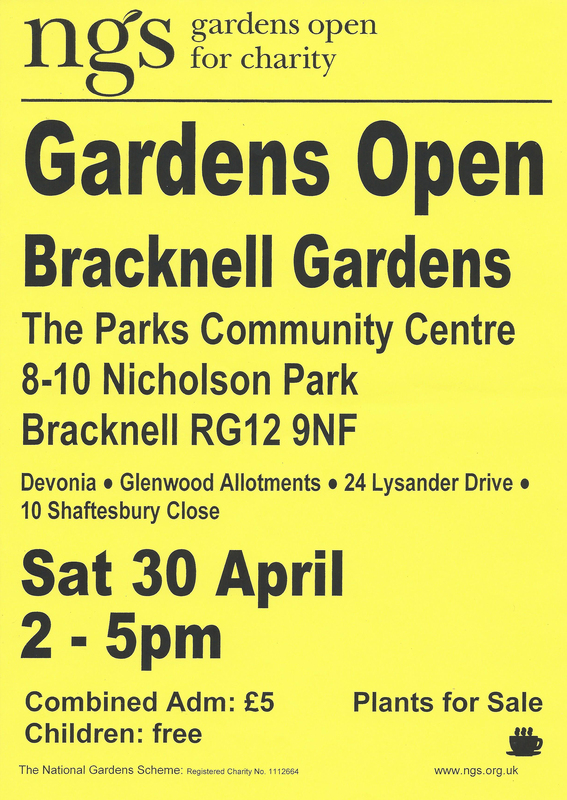 Three interesting Bracknell town gardens, all completely different, and lovely local allotments are opening in aid of The National Garden Scheme. Devonia, Broad Lane, is a plantsman’s garden designed for all seasons with areas showcasing different conditions. 24 Lysander Drive is a young, modern square garden, densely planted with architectural shrubs, grasses and small trees. 10 Shaftesbury Close is a woodland garden, planted to reflect the challenges that pine trees offer. Glenwood Allotments have enthusiastic owners who plant a wide variety of vegetables for all year cropping. Parking, home-made teas, plants and produce at The Parks Community Centre, 8-10 Nicholson Park, Bracknell, Berkshire, RG12 9QN.